UI design is all about problem-solving. The result is an interface that’s simple, beautiful and easy to use. I’ve read quite a few UI design books over the years and they’ve definitely helped me gain a solid foundation in the principles of interface design. I love reading, but there are only so many hours in a day, so you need to choose your books wisely. With so many UI design books out there, it’s sometimes hard to figure out which ones are worth reading. With this in mind, I’ve put together a list of my favourite UI design books that I hope you’ll find helpful. Let me know what your own favourites are and how they’ve improved your UI design process. This book is not about detailed theories; instead, it focuses on providing you with the practical tools you need to solve real-life UI design problems. UI design is often seen in a very subjective way, as pretty pixels on a screen. The author’s premise is that it’s not about aesthetics – rather, UI design is actually an objective way to communicate to users. I like how an interface is compared to a conversation. What should it say to the user, how should it say it and when? Simply writing down the conversation between the interface and the user can lay a strong foundation for the UI design. There are plenty of real examples and design makeovers to help you see the concepts in practice, too, which is helpful. As a UI designer, it’s important to understand what’s going on in our users’ minds so that we can create the most effective interface for them to use. 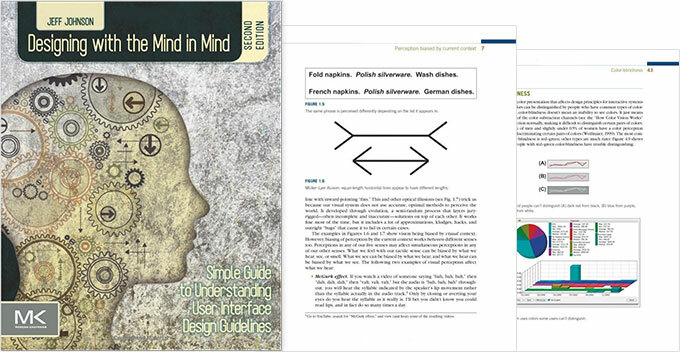 This book delves into perceptual and cognitive psychology and how we can use it to create better interface designs. The author covers human choice and decision-making, hand-eye coordination, colour and vision, and attention span and memory. You’ll learn a bunch of user interface design rules as well as the science behind them, and you’ll be equipped to use them in your projects. A great read for those who are interested in the ‘why’ behind a UI design. In this fun and clever book, we learn about how psychology is used to design interfaces that persuade us to click that button or to buy that product. Organised into seven chapters (one for each of the seven deadly sins), the book focuses on persuasive design techniques and how they’re used to draw customers in, build confidence and convince them to buy products and services. 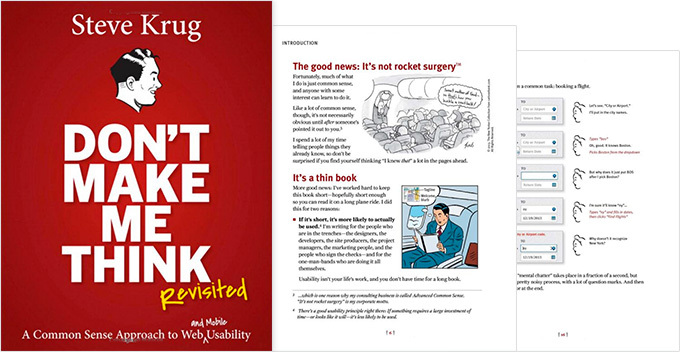 The author cleverly dissects real website examples and shows how they’ve used UI design patterns and human psychology for commercial gain. While some of these design techniques are dark patterns (interfaces aimed at tricking users) that I wouldn’t recommend using on potential customers, others are just clever design that can be helpful to the user. Whether you use this book for good or evil, it’s a fascinating read and you’re sure to learn some new tricks. 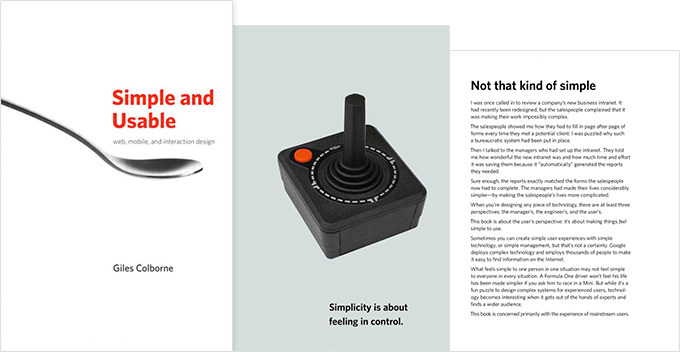 The title says it all: this book is a practical guide to achieving simplicity in UI design. The core concepts which are central to achieving simplicity are to remove, organise, hide and displace features and UI elements. It’s a very practical guide that teaches designers to figure out the most important tasks for mainstream users, and make them easy to accomplish while removing non-core features. Organising an interface effectively can also make it feel simpler to use, and the author shares many useful techniques to achieve this. This book is an enjoyable read packed with practical strategies for achieving simplicity in your products. This book basically documents hundreds of different UI patterns. Each pattern includes examples of best practices of when, why and how to use that pattern in your interface designs. Experienced UI designers would probably be familiar with most of these UI patterns and examples, but it would be a great resource for those with less experience in UI design. This book isn’t focused on the user experience process as a whole; instead, it takes a more practical look at the many UI patterns used to construct an interface. Krishna is a UX designer and in this book he points out that designing digital products has become all about getting users addicted to looking at their screen, rather than helping them solve their problems or achieve their goals. I’d have to agree that ‘slapping an interface’ onto every idea isn’t a great way to solve the worlds problems. The first half of this entertaining book is about the problems with today’s design thinking. Then, in the second half of the book, he talks about solutions using existing examples (although I would have liked more examples of ‘no UI’). Krishna offers three design principles to design by: Embrace Typical Processes Instead of Screens, Leverage Computers Instead of Serving Them and Adapt to Individuals. A short and thought-provoking read. 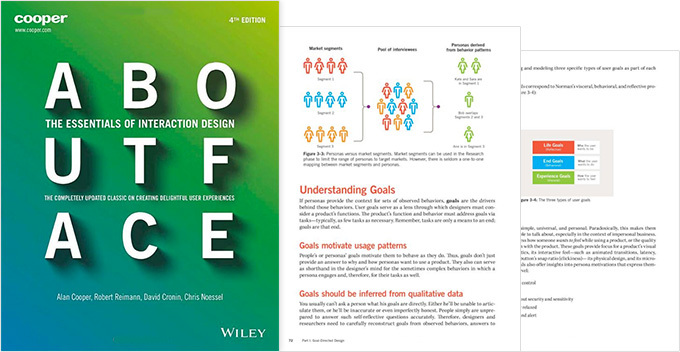 About Face was one of the books that was instrumental in bringing interaction design into the everyday language of product design and development. 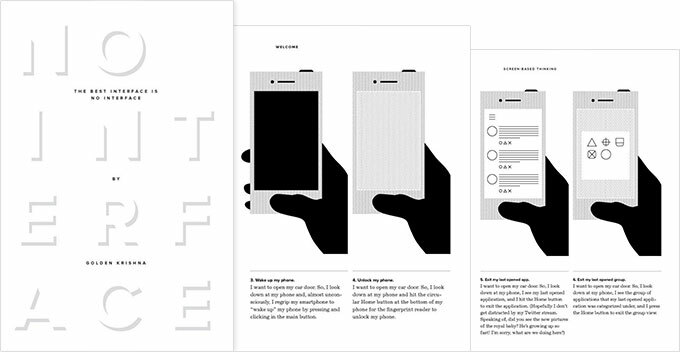 It’s a comprehensive guide on interface design and interactions on both web and mobile devices. 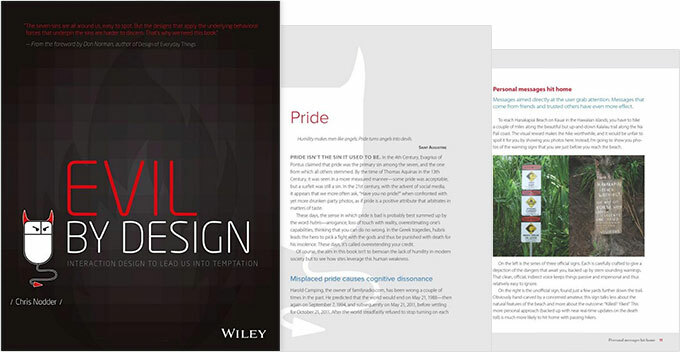 The book’s main focus is on creating well-behaved products that are a delight to use, and it covers project process, goal-directed design, persona development and interface element best practices. I’d recommend reading the first third of the book and then using the rest of it as a resource when needed, as it does go into a lot of detail. While this isn’t specifically a UI design book, it’s an old usability favourite, and I think it’s a great and quick read for anyone in the UI design industry. The book contains numerous usability rules based on human psychology that will help you design better interfaces for your users. It’s full of examples too, as well as exercises to help you perform user testing on a small budget. As designers, we can sometimes forget the simple things, and this book helps ensure that we get the simple things right first. 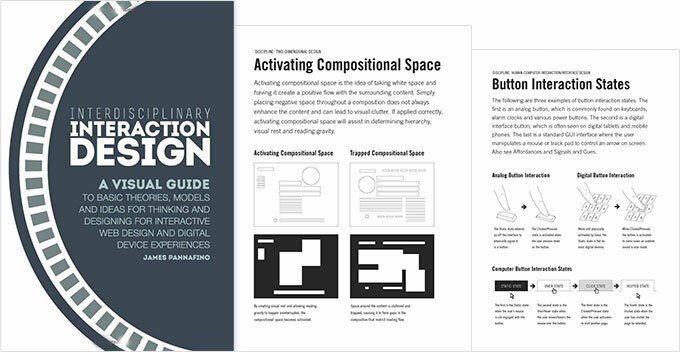 Suited to those beginning their UI design career, this book is basically a reference for the many types of interfaces in the digital design space. 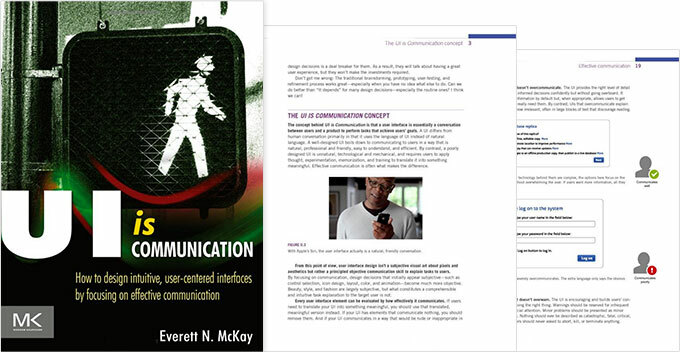 The book is split into three main sections: desktop, web and mobile interfaces. In each section, the author breaks down UI design patterns into concise chunks that are easy to understand. Each chunk includes a theory section detailing the particular traits of the UI pattern, followed by an example of the UI pattern in action. A useful reference for designers getting into the UI design field. This is an introductory-level book that provides a quick reference for interaction design principles and theories. Each page summarises a design principle and gives you a quick introduction to the main concept. As there isn’t enough information provided to give you a full understanding of each concept, once you find a concept you’re interested in you’ll need to find out more about it from external sources. Some of the design concepts covered include the Pareto principle, personas, principle of least effort, sequence-mapping and affordances. 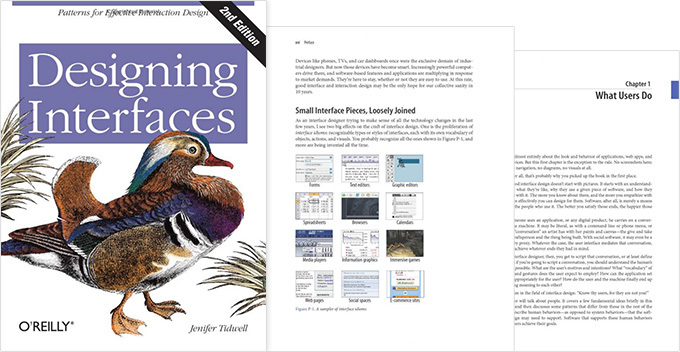 This book basically provides an introductory, high-level view of some of the main interaction design concepts, and won’t be of much use to more advanced designers looking for an in-depth understanding. 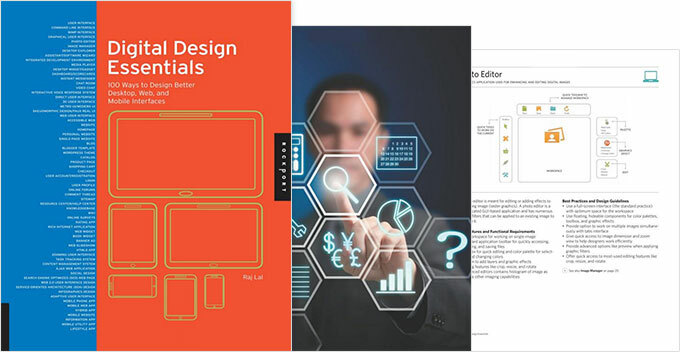 I hope you’ve found this round-up of UI design books helpful in your search for your next read. Let me know if you’ve read any other great UI design books too, as I’m always looking to expand my reading list. Happy reading.